WASHINGTON, D.C. – Congress must revise the dairy safety net program established in the 2014 Farm Bill to provide farmers with effective risk management protection that will increase participation in the program, according to Ken Nobis, president of the Michigan Milk Producers Association (MMPA) and first vice-chair of the National Milk Producers Federation (NMPF), who spoke at a 2018 Farm Bill hearing today. Nobis is a dairy farmer from St. Johns, Mich., and leader of MMPA, a milk marketing cooperative serving over 1,700 dairy farmers in Michigan, Indiana, Ohio and Wisconsin. He testified on behalf of his cooperative and the National Milk Producers Federation. His full testimony can be found here. In calendar year 2015, dairy farmers paid more than $70 million into the MPP and received payments totaling just $730,000. In 2016, those figures were $20 million and $13 million. Nobis said farmers found that the program was not helpful during two years that were particularly detrimental to the dairy industry. As a result, many of them have become disenchanted with the program, and participation has dwindled. 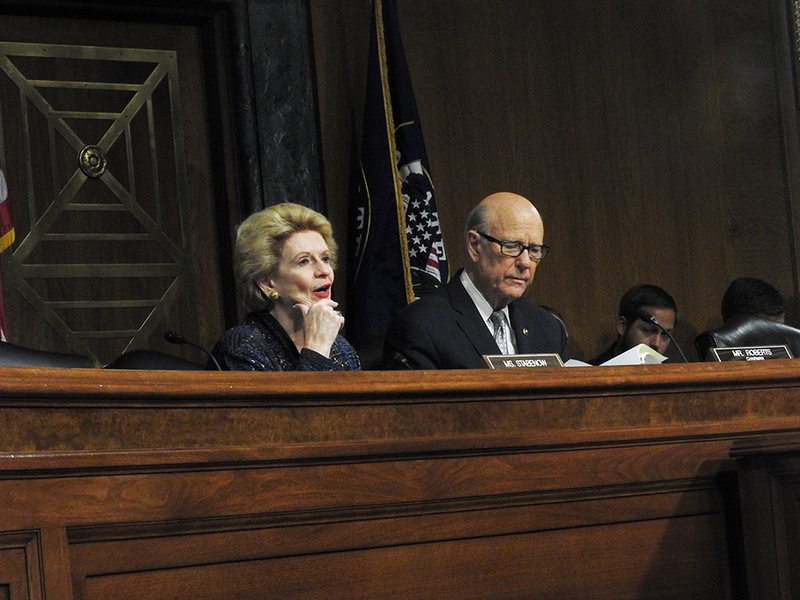 “I guarantee, if Congress alters the MPP so that it more accurately reflects the actual costs of production for businesses like mine, participation in the program will increase,” he told Chairman Pat Roberts (R-KS) and Ranking Member Debbie Stabenow (D-MI). In making his case for improving the MPP, Nobis detailed a list of proposed changes NMPF and its members had developed to improve it. The MPP is designed to help farmers insure against either low milk prices or high feed costs, Nobis said, but the determination of the feed price used in the margin calculation is problematic. During the farm bill process, NMPF’s original proposed feed formula, though considered accurate, was cut by 10 percent to address other budget concerns. Based on the government profit made on the program, concerns about budget that led to the 10-percent cut were misplaced, explained Nobis. Nobis said it is also important to expand dairy farmers’ access to additional risk management tools like the Livestock Gross Margin for Dairy Cattle (LGM) program and similar programs that could be offered by USDA. “Making the [MPP] program more attractive for dairy farmers is vital to ensuring participation in the program, and the safety of America’s dairy industry,” Nobis said. Nobis also expressed appreciation that the Agriculture Committee’s leadership worked with the Senate Appropriations Committee to include important changes to the MPP in the agriculture appropriations bill for fiscal year 2018. 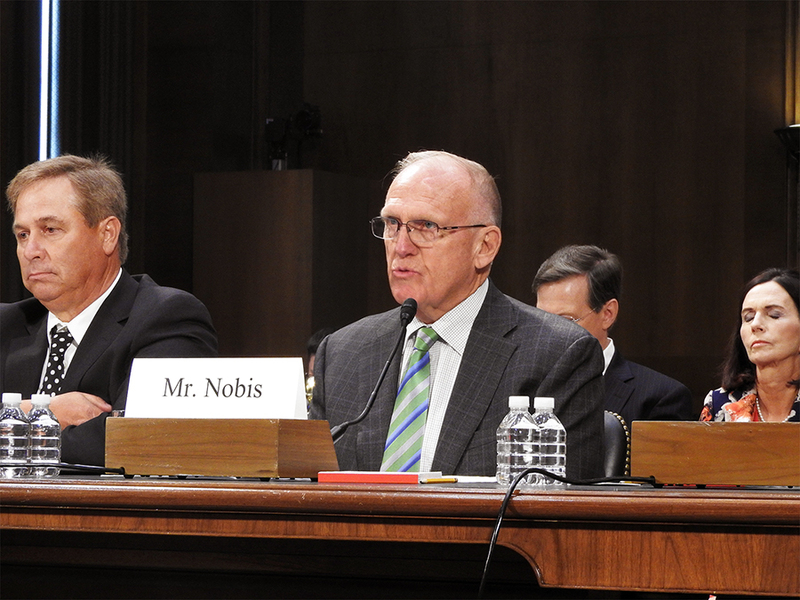 Nobis’s testimony touched on several other policy challenges affecting U.S. dairy farmers, including immigration and labor shortages, and the vitality of U.S. dairy trade as NAFTA renegotiations begin. He commended Congress and Agriculture Secretary Sonny Perdue for actions taken earlier this year to reintroduce 1% flavored milk back into schools. He also thanked Roberts, Stabenow and several other Congress members for backing legislation that would support farmers’ roles as stewards of environmental sustainability.